- Although relatively low key on the international Rock scene as a solo act, RUSS BALLARD, born in Waltham Cross in Hertfordshire, has scored numerous major smash hits with other artists, his songs being employed by many high profile acts. 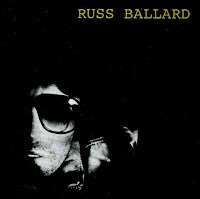 A pivotal member of ARGENT from 1970 to 1975, a succession of solo albums followed Russ Ballard's entry into solo artist territory. Ballard had made his entry into the Rock n' Roll arena with RICK NICHOLL AND THE REBELS, THE DAYBREAKERS and subsequently as part of Adam Faith's band THE ROULLETES. The 1978 album, 'At The Third Stroke' produced by Keith Olsen, featured guests David Paich, Jeff and Mike Porcaro from TOTO with Mike Baird also on session drums. Strangely Ballard's solo work met little acclaim, that is, until Ballard's undoubted song-writing prowess was seized upon by acts such as AMERICA ('The Border' and 'You Can Do Magic'), RAINBOW ('I Surrender' and 'Since You've Been Gone'), ROGER DALTREY ('Come And Get Your Love' and 'Free Me'), GRAHAM BONNET ('Liar'), ABBA's Frida, HOT CHOCOLATE, SAMSON, SANTANA and KISS guitarist ACE FREHLEY ('New York Groove'). With such artists many of Ballard's songs made their way high into the singles charts worldwide. Ballard continued to produce solo albums into the 80s and 1984's 'Russ Ballard' album featured veteran session drummer Simon Phillips, ex-FANCY and MICHAEL SCHENKER GROUP bassist Mo Foster and keyboard player Greg Sanders. 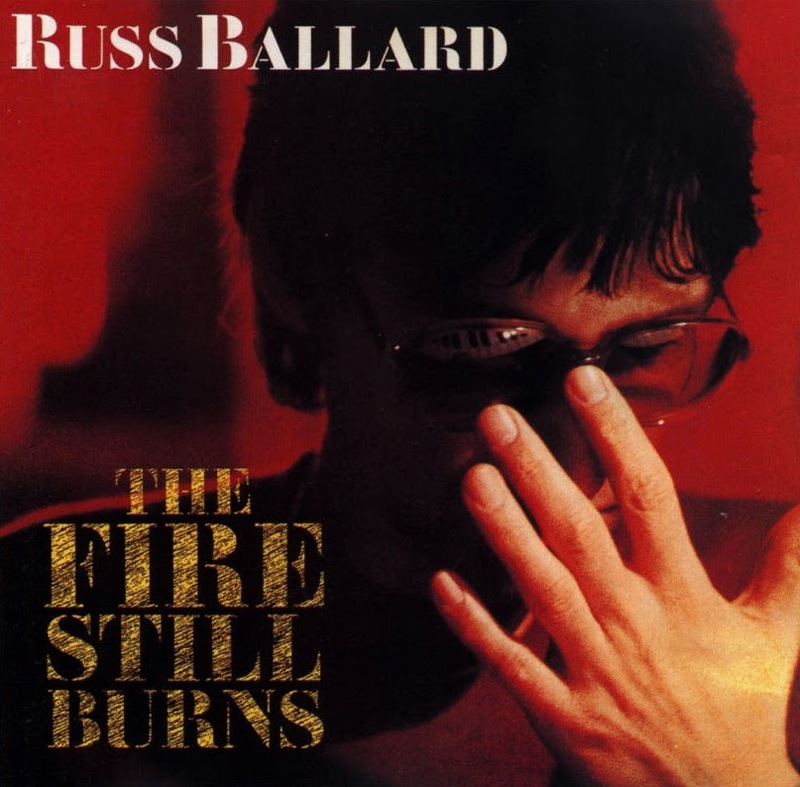 For the following year's 'The Fire Still Burns' Ballard utilized drummers Stuart Elliot and Mike Richardson. Ballard stayed low key throughout the 90's but did put in an appearance on ROBERT HART's second album in 1992. He made a comeback as a solo artist in 1994 with 'The Seer', but success in this field still eludes the man. His presence as a songwriter would be felt on the 2002 'Fight' opus of leading German Metal queen DORO. He also featured on THUNDER's 2005 album, 'The Magnificent Seventh', on a co-composition with guitarist Luke Morley for the track 'One Fatal Kiss'. - Russell Glyn Ballard (Russ) was born on Wednesday 31 October 1945 in Waltham Cross, Hertfordshire. An English singer, songwriter and musician responsible for some of the most iconic rock hits ever to come out of England. Russ has a son Christian who is a producer in his own right and a daughter Karis. Together Russ’s children have given him 4 grandchildren. Russ started his career in 1961 as a guitarist with Buster Meikle and The Day Breakers together with lifelong friend, drummer Bob Henrit, who still drums for him today. In 1963 Russ joined The Roulettes who came to perform as a backing group for Adam Faith. Russ recounts some very interesting stories of his early days as a young musician with Adam Faith and with The Roulettes. He and Bob spent many memorable years with the band before joining Unit 4 + 2 in 1967 and reached number one with the hit single "Concrete and Clay" in 1965. In 1969 Russ collaborated with Rod Argent, Bob Henrit and Jim Rodford to form Argent. “God Gave Rock and Roll to You”, performed originally by Argent in 1973, later became a top 10 single for Kiss in 1991 and was featured on the soundtrack of 1991 hit film "Bill & Ted’s Bogus Journey". During the Argent years Russ was most famously known for his vocals on their smash ”Hold your Head Up” which peaked both the U.K and U.S charts at number 5 in 1972. Russ’s greatest talent was in songwriting and in 1972 he wrote the hit single "I don’t Believe in Miracles" performed by Colin Blunstone. In 1974 Russ left Argent and has since had a very successful solo and songwriting career. Among Russ’ many hit songs are “ New York Groove” by British Pop band Hello, that reached number 7 in Germany and number 9 in the UK. This song has been featured in many film sound tracks and remains extremely popular today. In 1975, ”So You Win Again” by Hot Chocolate (their only UK chart topper) was at number 1 for 3 weeks. More top ten hits came from Rainbow with “Since You Been Gone” (1979) and “I Surrender” (1981). Also in 1981 Santana’s “Winning” reached Number 2. Other successes in songwriting and performing with Roger Daltrey contributed to Daltrey’s first two solo albums “Daltrey” (1973) “Ride A Rock Horse” (1975). Daltrey has recorded many of Russ’ "originals" on his albums “ Under a Raging Moon” and “Can’t Wait To See the Move”. 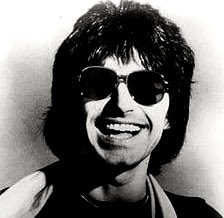 Russ Ballard’s songs also featured on the soundtrack of the 1980 film "McVicar". In 1985 Russ toured with Daltrey, playing guitar and performing his own song. Russ’ famous performers who have had hits with Russ’ songs are Abba singers Anni-FridLyngstad, Agnetha Faltskog and English soloist Elkie Brooks. - Russell Glyn "Russ" Ballard (31 October 1945) is an English singer, songwriter and musician. Originally coming to prominence as the lead singer for the band Argent, Ballard became known by the late 1970s as a songwriter and producer. His compositions "New York Groove", "You Can Do Magic", "Since You Been Gone", "Winning", "I Know There's Something Going On", "So You Win Again" and "God Gave Rock and Roll to You" were hits for other artists during the 1970s and 80s. Ballard was initially a guitarist, joining Buster Meikle & The Day Breakers in 1961 together with his older brother Roy and their friend the drummer Bob Henrit. After a stint with The Roulettes, backing Adam Faith, he then went on to join Unit 4 + 2 in the early 1960s, before becoming the lead singer and guitarist of Argent (along with Henrit, who joined as drummer), writing their hit "God Gave Rock and Roll to You", which would later be covered by both Petra and KISS. Ballard is most well known as the vocalist on Argent's smash "Hold Your Head Up". In 1972, Ballard performed on Colin Blunstone's album Ennismore, which was produced by Chris White. Ballard also wrote the hit single, "I Don't Believe in Miracles", which featured on that album. He left Argent in 1974 and pursued a solo and songwriting career. He wrote such hits as Three Dog Night's "Liar" (originally recorded by Argent), Hot Chocolate's 1977 UK chart topper "So You Win Again", and Rainbow's 1979 hit "Since You Been Gone". Head East had also recorded the song in 1978 for its self-titled album, and before that it was included in Ballard's 1976 solo album Winning. Ballard also wrote Rainbow's 1981 No. 3 (UK) hit "I Surrender". Ballard also wrote and performed on Roger Daltrey's first two solo albums, Daltrey (1973) and Ride a Rock Horse (1975). 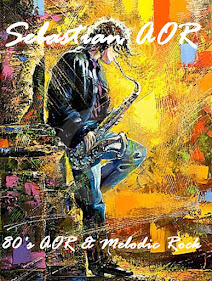 Daltrey recorded some other Russ Ballard originals for his McVicar soundtrack, and his albums Under a Raging Moon and Can't Wait to See the Movie. Ballard did a tour with Roger Daltrey in 1985, playing guitar and even singing one of his own songs. British pop band Hello recorded Ballard's "New York Groove" in 1975, reaching No. 7 in Germany and No. 9 in the UK. "New York Groove" would also be recorded three years later by Ace Frehley, who turned the tune into a stateside hit. Ballard also wrote the No. 17, 1981 hit for Santana, called "Winning", which appeared on their album entitled Zebop! and had previously been released by Ballard himself on his second solo album. To promote the Winning album he toured Europe and the US in October and November 1976 working with the John Stanley Media Management Company and a four piece band doing large theatre venues in Europe and medium-sized clubs like The Bottom Line in New York and the Whisky A Go Go in LA in the States with excellent results. Ground Control sound engineer Robin Mayhew looked after the sound for both tours. Ballard wrote and produced "You Can Do Magic" for the group America on its 1982 album View from the Ground. The single climbed to No. 8 on the Billboard Hot 100 in October 1982, and helped resurrect the band's career. The following year, America brought in Ballard to produce their follow-up album, Your Move. One of its tracks, "The Border", which was co-written by Ballard with Dewey Bunnell, reached No. 33 on the Billboard Hot 100. Ballard wrote ABBA singer Anni-Frid Lyngstad's 1982 solo hit: "I Know There's Something Going On" (which was produced by Phil Collins, and also featured Collins on drums). The track reached No. 13 on the Billboard Hot 100. He also penned "Can't Shake Loose" for fellow ABBA former member Agnetha Fältskog, which peaked at No. 29 in the same listings. In 1991 the song he co-wrote with John Waite and Jonathan Cain, "So This Is Eden", appeared on Bad English's album, Backlash. Ballard has also written and produced for Elkie Brooks, and more recently[when? ], acting as a talent scout, he "discovered" Lauren Harris. As a solo artist, Ballard charted once on the US Billboard Hot 100 chart, when "On the Rebound" reached No. 58 in 1980. English rock band Uriah Heep covered "On the Rebound" in 1982 on their album Abominog. In 1980, he released a solo album on Epic entitled Barnet Dogs. Another notable solo hit, "Voices" – from his second self-titled album (1984) – was featured in the Miami Vice episode "Calderone's Return: Part 2 – Calderone's Demise", which aired on 26 October 1984. The song was a brief hit on rock radio stations, peaking at No. 15 on the Hot Mainstream Rock Tracks chart. However, "Voices" stalled below the Billboard Hot 100, peaking at No. 110. Another song from the same album, "In the Night" was featured in the episode "Calderone's Return: Part 1 – The Hit List". The show also featured "Your Time Is Gonna Come" by Ballard later in its run. - 31 October 1945, Waltham Cross, Hertfordshire, England. Ballard attended the same secondary modern school as Cliff Richard before joining the Daybreakers, the backing group to Buster Meikle, another local singer (and future mainstay of Unit Four Plus Two). By 1963, with Daybreakers drummer Robert Henrit, Ballard was a member of Adam Faith’s Roulettes in which he played keyboards before transferring to guitar. Among tracks recorded by the quartet alone were a handful of Ballard numbers, including the band’s last a-side, 1967’s ‘Help Me To Help Myself’. While briefly one of the latter-day Unit Four Plus Two members, Ballard also co-wrote that band’s final single, 1969’s psychedelic ‘3.30’, before he and Henrit joined Argent. Ballard’s compositions complemented those of leader Rod Argent and his confidence was boosted when his ‘God Gave Rock ’N Roll To You’ was among the band’s hits. Three Dog Night reached the US Top 10 with a version of Ballard’s ‘Liar’ in 1972. After this lucrative syndication, Ballard remained with Argent for a further two years before showing his hand as a soloist. 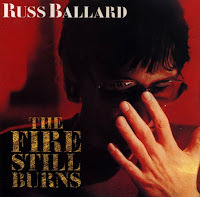 However, as neither Russ Ballard (1975) nor Winning (1976) attracted sufficient attention, despite the singles ‘I Don’t Believe In Miracles’ (previously a hit for Colin Blunstone) and ‘You Can Do Voodoo’, he elected to concentrate on writing adult-orientated material. He was especially favoured by America, whom he serviced well into the 80s with accessible catchy compositions such as ‘You Can Do Magic’ (a rewrite of ‘You Can Do Voodoo’). Other notable beneficiaries of his efforts were Hot Chocolate (‘So You Win Again’) and Rainbow (‘Since You’ve Been Gone’ and ‘I Surrender’). Ringo Starr recorded another Ballard composition ‘As Far As You Go’ on his 1983 release, Old Wave. Ballard was also active as a session player for both old associates such as Faith (and his protégé Leo Sayer) and Rainbow’s Graham Bonnet, as well as newer acquaintances such as Lea Nicholson, Starry Eyed And Laughing and Phoenix. In 1979, Ballard returned to the fray as a recording artist with At The Third Stroke, which, like its follow-ups, was a likeable collection that sold enough to make further Ballard product a worthwhile exercise. A second album called Russ Ballard was issued in 1984. Its singles and those on its successor, The Fire Still Burns, were promoted on video with the artist still wearing the sunglasses that had been his visual trademark since treading the boards with the Daybreakers.